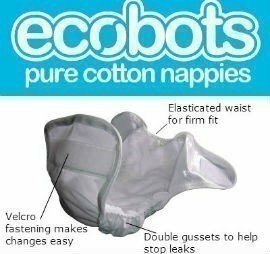 Ecobots is a fantastic choice when it comes to using cloth nappies. Our Ecobots trial pack allows you to give them a good go, before committing to a full pack. With enough nappies for three changes, before you need to wash, you really get chance to give Ecobots a good try. Many other trial packs on the market contain just one or two nappies. Meaning that you don’t really get chance to give them a good go before needing to wash. 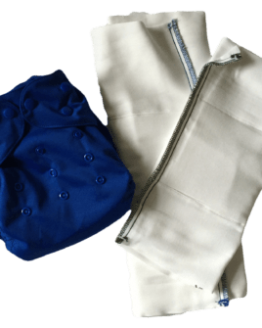 This trial pack contains three cotton prefold nappies, a cover, a snappi nappy fastener and instructions for use. Ecobots are a very simple and easy to use system. 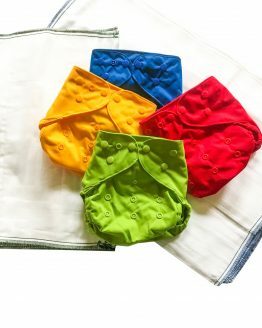 You only need to change the nappy insert, reusing the cover for the whole day. Simply give it a quick wipe down and you’re ready to go again, unless the cover gets dirty. The Ecobots system is very simple and easy to use. 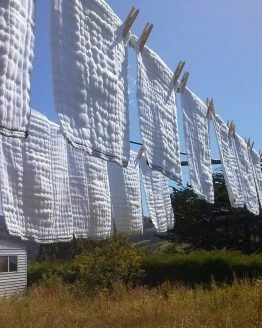 Cotton pre-folds are tried, tested and loved by thousands of Kiwi parents. 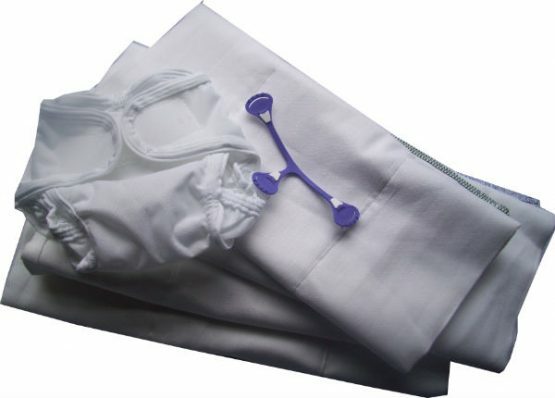 Virtually bomb proof, they are very easy to take care of and are quick drying. Our reliable cover is one of the best on the market. The double gussets at the leg and firm elastics give a great fit, that helps to keep even the most explosive poos in. 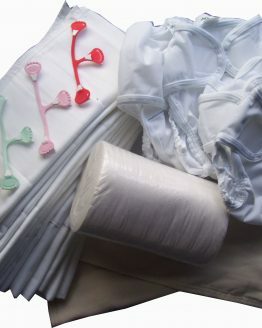 If you think that you’d like more nappies, then check out our starter, basics and birth to potty packs. You can also buy the pre-fold nappies and covers on their own. Allowing you to build your own pack.